This post is sponsored in conjunction with ChristmasSweetsWeek. I received product samples from sponsor companies to aid in the creation of the ChristmasSweetsWeek recipes. All opinions are mine alone. This homemade Salted Caramel Hot Chocolate is made with melted chocolate in milk flavored with salted caramel syrup and topped with whipped cream. Welcome to the final day of #ChristmasSweetsWeek 2018 hosted by Terri from Love and Confections and Christie from A Kitchen Hoor’s Adventures! You can read all about this weeks sponsors here. This easy to make Salted Caramel Hot Chocolate is made with #ChristmasSweetsWeek sponsor Torani’s Salted Caramel flavoring syrup, and these pretty glass mugs are from JoyJolt. 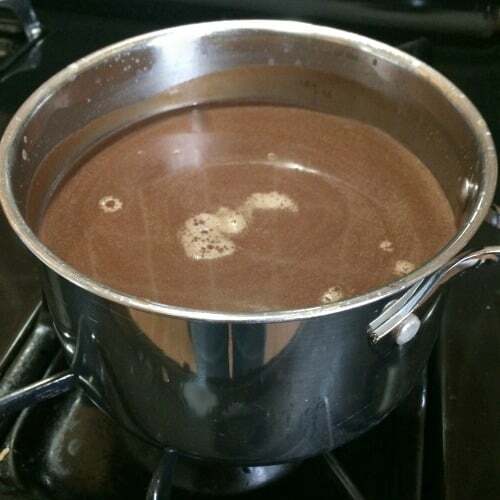 I don’t make hot chocolate very often, but when I do, I prefer homemade with chocolate chips melted in milk. It’s so much better than the powdered stuff! 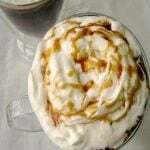 Start by heating milk and salted caramel syrup over medium-low heat until just beginning to steam. Add chocolate chips (I use milk chocolate), a little at a time, whisking constantly, until all the chocolate is melted. This will take about 10 minutes from start to finish. Pour the prepared Salted Caramel Hot Chocolate into mugs and top with whipped cream or mini marshmallows and salted caramel ice cream topping, if desired. 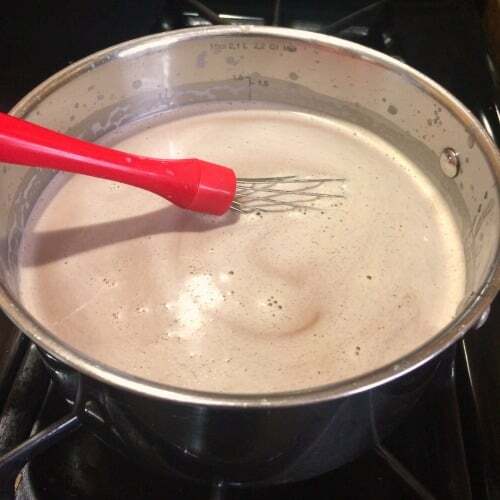 Read on after the printable Salted Caramel Hot Chocolate recipe to see all the other recipes shared today. 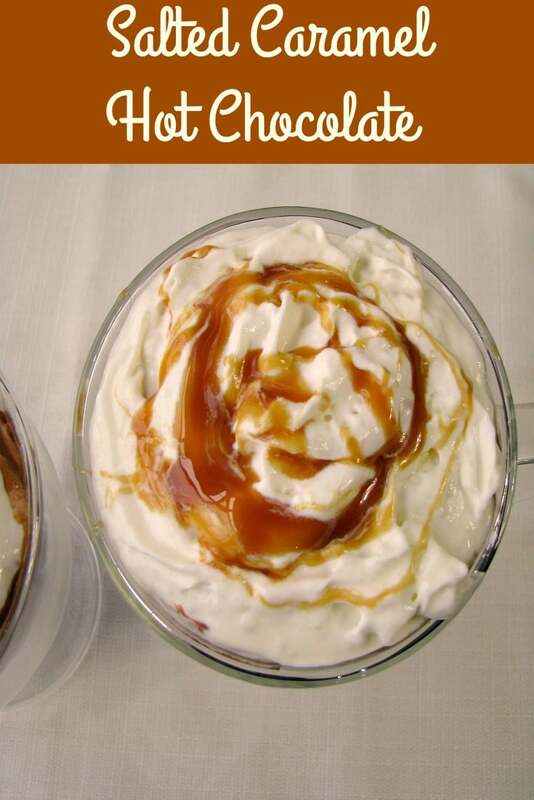 This homemade Salted Caramel Hot Chocolate is made with melted chocolate in milk flavored with salted caramel syrup and topped with whipped cream. 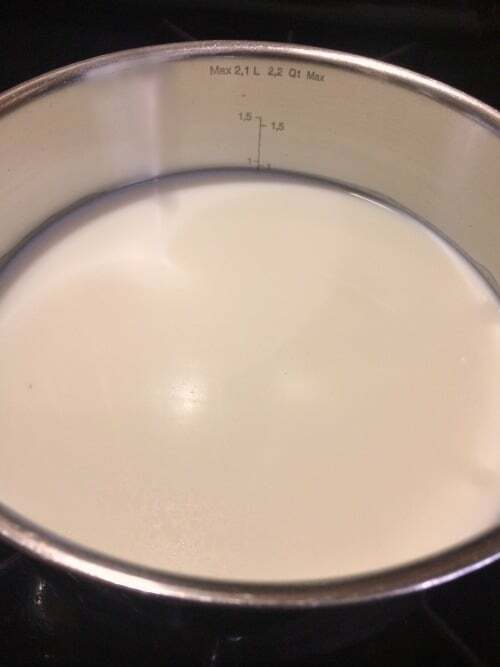 Heat the milk and salted caramel syrup over medium-low heat until just beginning to steam. Add chocolate chips , a little at a time, whisking constantly, until all the chocolate is melted. 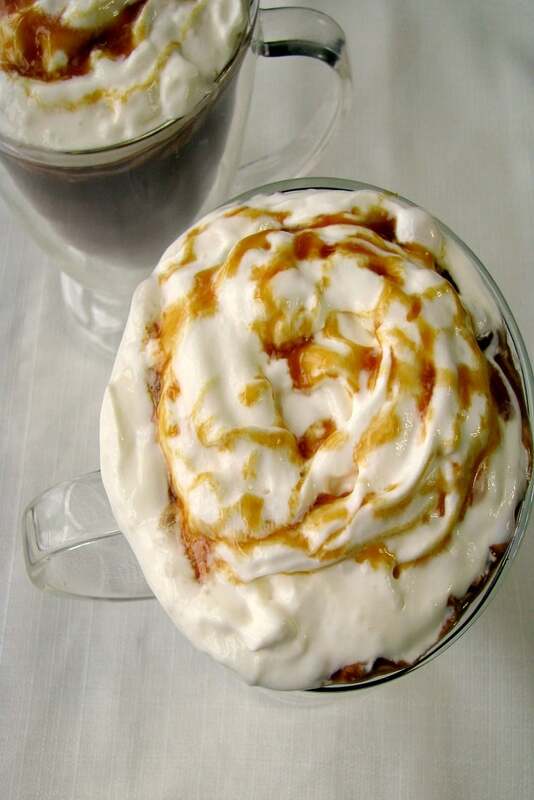 Pour the prepared Salted Caramel Hot Chocolate into mugs and top with whipped cream or mini marshmallows and salted caramel ice cream topping, if desired. Serve hot. Nutritional information calculated using whole milk and not including optional whipped cream and caramel topping. Salted Caramel White Hot Chocolate from Who Needs A Cape?